I made these booties as a gift and they came out so cute that I decided to write a pattern. 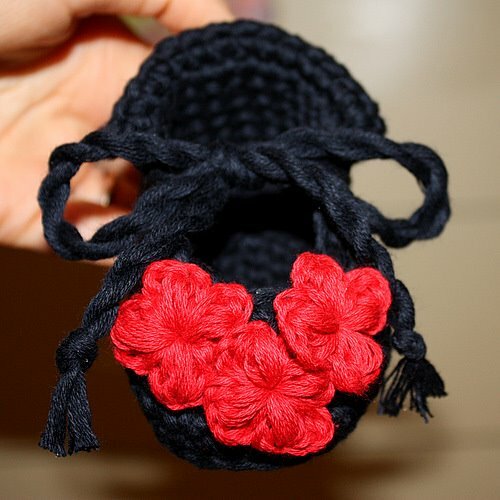 I love Poppy flowers and on baby booties they look so pretty! Pattern is now listed for sale in my Etsy shop! Enjoy! My newest design – Flower Baby Sandals!